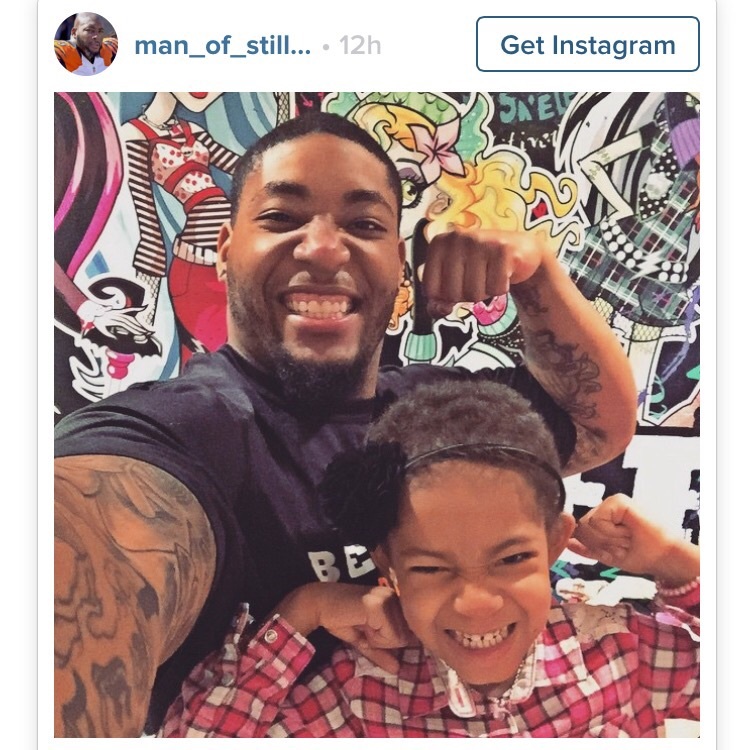 Devon Still’s daughter, Leah, was diagnosed with Stage 4 neuroblastoma last June, a rare form of cancer found in infants and children. She immediately began intense rounds of chemotherapy. Soon after, Still was cut from the Cincinnati Bengals roster but Coach Marvin Lewis found a way to ensure Devon had a way to care for young Leah by keeping him on the practice squad. This allowed Still to retain his insurance but not travel with the team so he was able to be with Leah during her treatments. This was only temporary as Still was quickly signed back onto the 53 man roster but the Bengals organization allowed Still the same flexibility as being on the practice squad so he could take care of his daughter. The Bengals made Devon Still’s jersey available for sale with 100% of profits going to benefit pediatric cancer research. In 24 hours, it was the fastest selling jersey in team history, more than 1000 jerseys were purchased the first day Still was listed as active on the roster, including 100 bought by Sean Payton of the New Orleans Saints. The 4 year old worked with her father to create a children’s story book about her battle, which they hope will help inspire others while teaching them about the experience of fighting cancer. Portions of the proceeds will go to pediatric cancer. 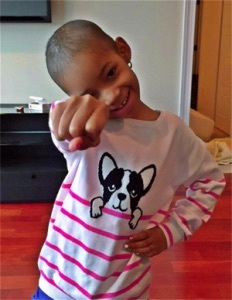 Leah recently completed her treatment and doctors didn’t find any cancer in her brain or nervous system. Leah and her father were overjoyed and Still posted the picure below saying, there’s only one thing to do when you get the best news of your life: You flex. Leah will still need to undergo an MRI to search for cancer in other parts of her body but the lack of cancer in the brain or nervous system where it originated is a good sign. and I am beating up cancer. This entry was posted on April 6, 2015 by youcanmakemestronger in Story and tagged #Bengals, #DevonStill, #leahstrong, #NFL, #prayerswork.